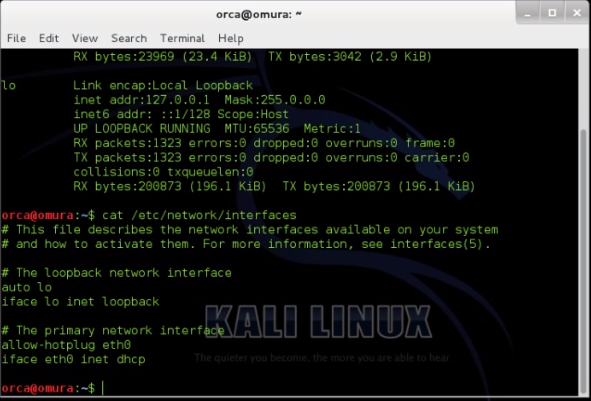 In this post, I'm going to share on how to set static IP address and networking details in Kali Linux. 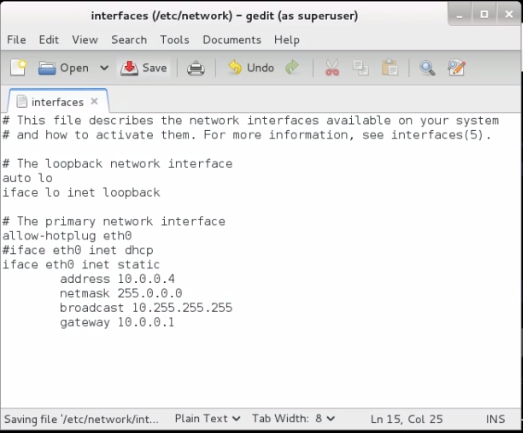 1) Open the terminal and check network interface file . 3) Disable "dhcp" and update the network static IP address information in the file and "save"
4) Refresh the connection by running "ifdown eth0" to turn off the network interface and "ifup eth0" command to turn on the network interface . 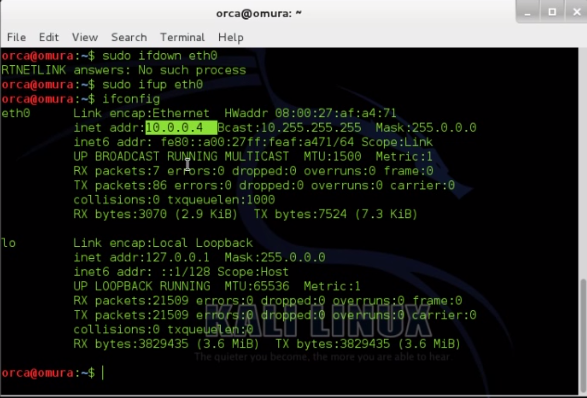 5) Kali Linux should run on static IP address .